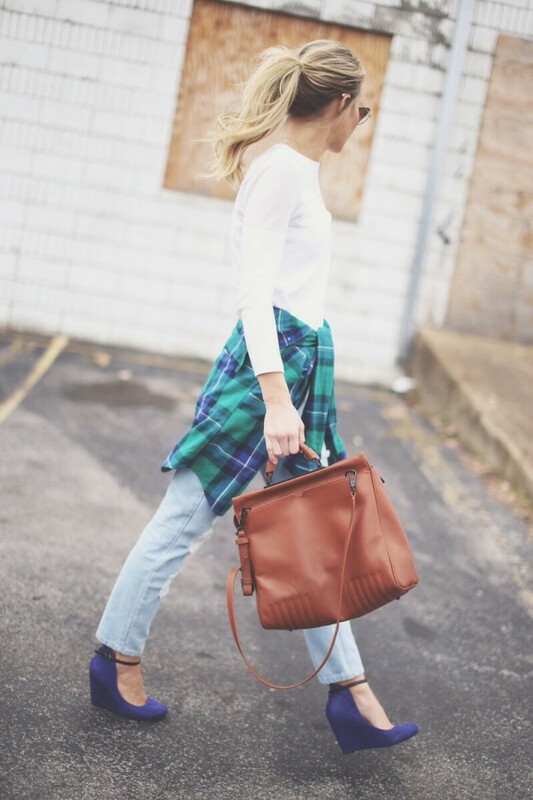 Plaid shirt is one of the most popular fall fashion staples. You could wear plaid shirts all year round, but honestly, they look the best in fall and winter. Plaid shirts, or flannel shirts as some people call them, are so versatile and can be worn in a million different ways. And don’t forget that they’re comfortable, cozy and usually inexpensive. There are so many other things to do with a plaid shirt, no matter how casual it seems. You can layer it under a cardigan to keep warm and super casual, accessorize with a chunky knit scarf and a beanie to stay warm, or pair your plaid shirt with destroyed jeans for a comfy weekend outfit. An over-sized plaid shirt can be worn open as a cardigan, and looks like a cute layer with denim shorts and tights. Considering that flannels are one of the best things about cold weather fashion, you definitely don’t want to miss out on them. You also don’t want to get stuck in a rut of only wearing them with jeans and flats or boots. Forget jeans! 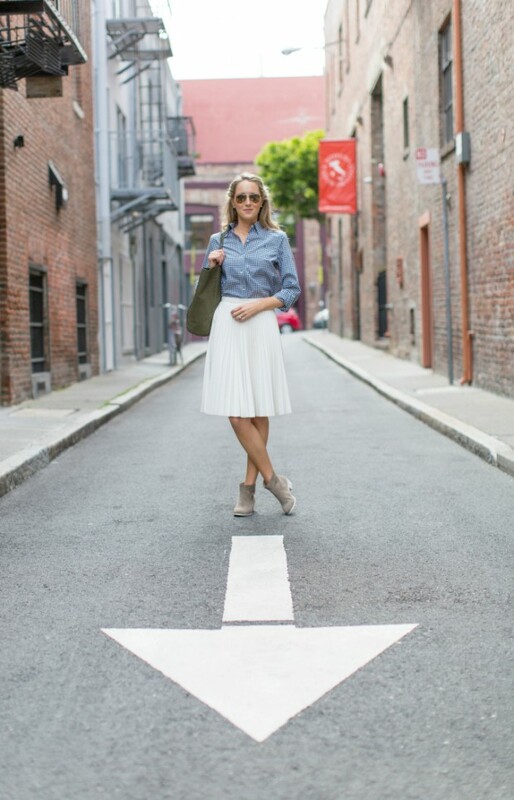 Tuck your plaid shirt into a skater skirt and add tights for a gorgeous fall look. Last but not least, combine plaid shirt with glam fur vest for trendy look.